For me, today also marked the end of summer vacation and a new stage in my life and my family’s life. Tomorrow Charlie will start kindergarten! Lord, I am so glad that we decided to homeschool, because I would be a huge mess right now if I was sending him off tomorrow to go to school. He is so excited about this new adventure, and so am I. In addition to that, Maddie is starting dance classes tomorrow, we’re launching a new MOPS group in a few weeks, my weekly Bible Study starts back up soon, and Charlie’s science co-op begins at the end of the month. The laid-back life I have known since becoming a stay-at-home mom 5 years ago is basically over. We now have somewhere to be most days of the week. Not sure how I feel about that! Change, even though it’s fun and exciting, really requires a lot of bravery, doesn’t it? So with all of these changes happening in my life, all of these opportunities to be afraid and timid, and just say “No, I can’t do that” while I close the front door, it is no coincidence that God has been surrounding me with brave women and inundating me with Bible verses encouraging me to be brave. So tomorrow I will get up early, and we’ll begin this new chapter in our lives. It’ll be a little scary, but it will also be fun and rewarding. One thing I am discovering about bravery: the braver we are, the more chances we will have to work for God. I think that’s so awesome! That’s right! Canning green beans. 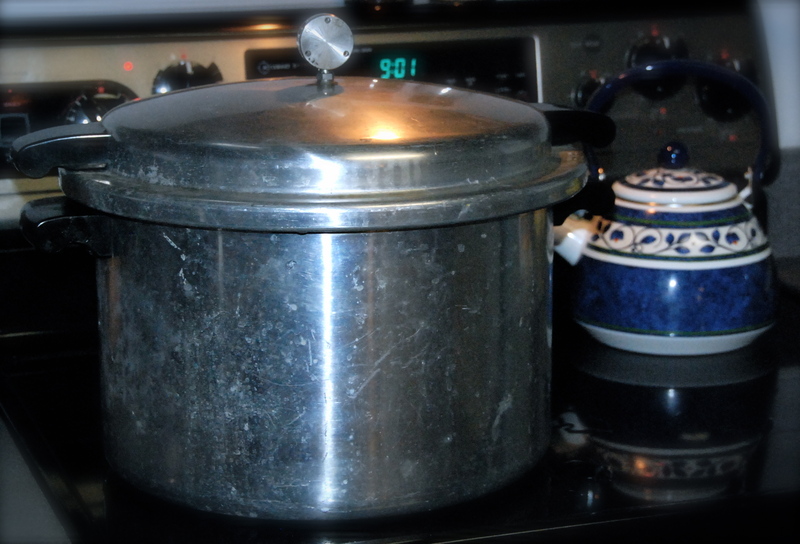 I have avoided this for a while due to my fear of using a pressure cooker, but so far so good.